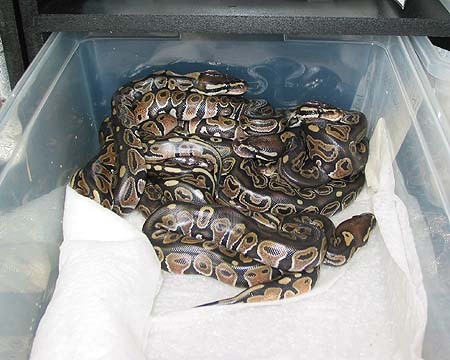 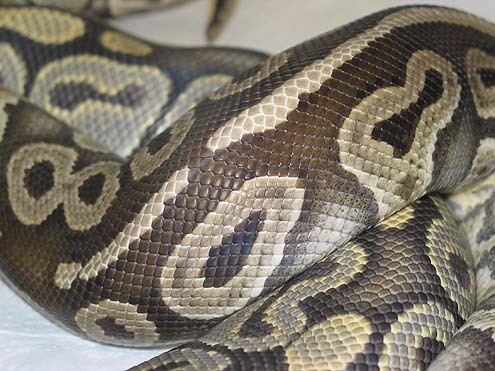 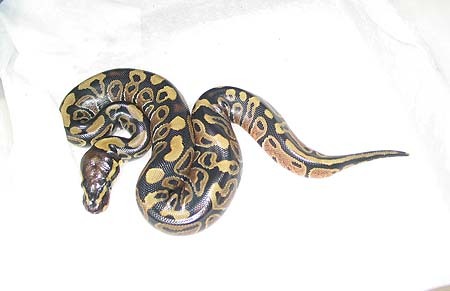 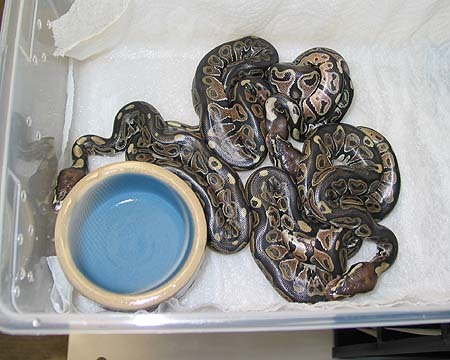 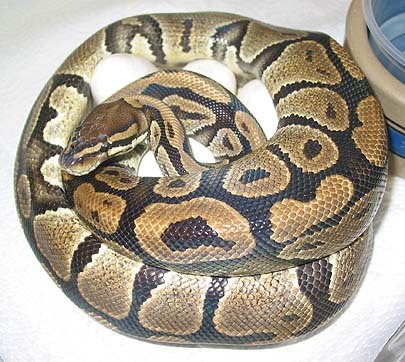 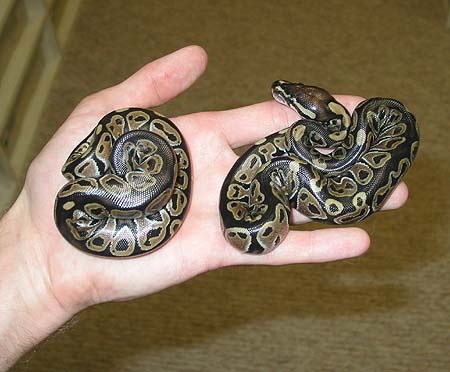 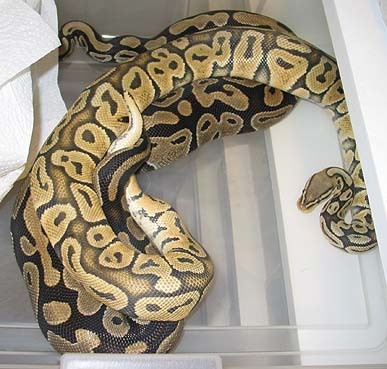 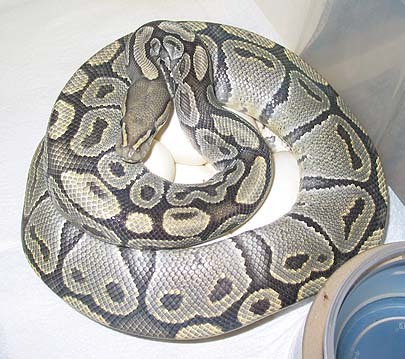 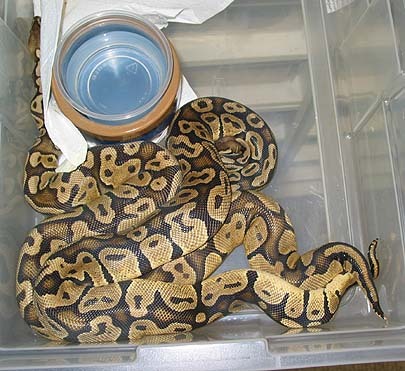 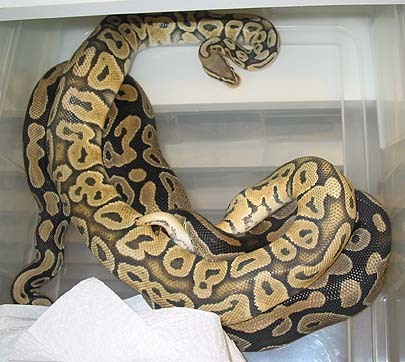 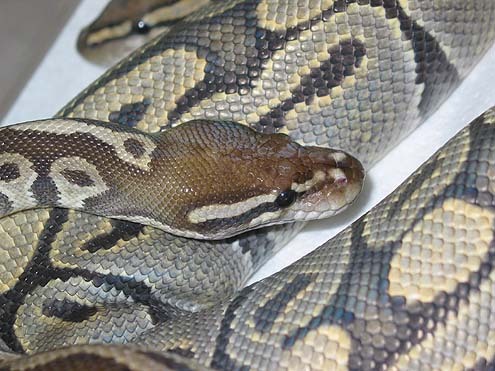 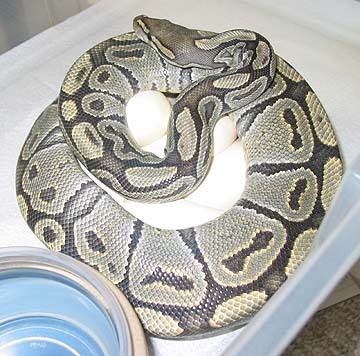 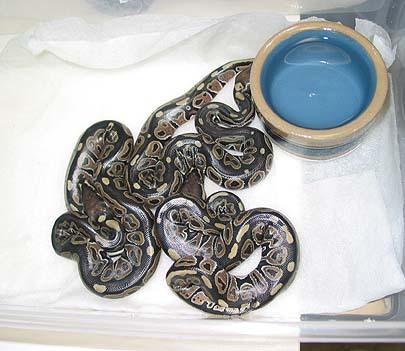 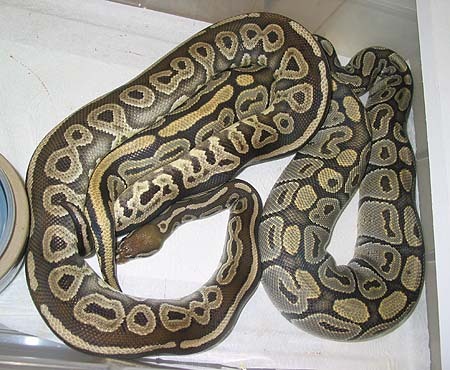 From breeding a Pastel Orange Ghost Male (POG) to a 50% Possible Het Anerythristic Female (Pos Het Anery 6 2002). 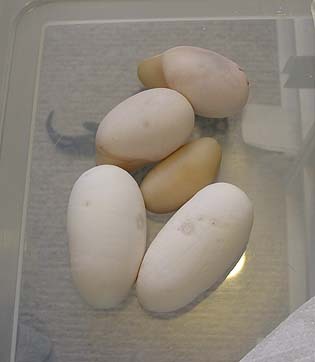 This clutch should produce Pastels 100% het Orange Ghost, 100% het Orange Ghosts and possibly some Pastel Orange Ghosts and Orange Ghosts. 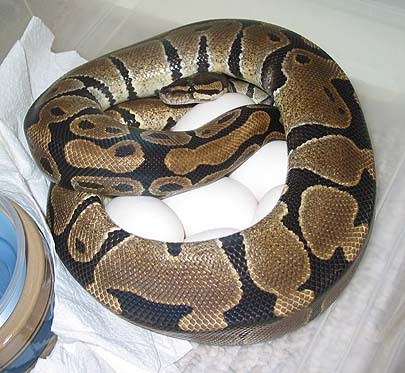 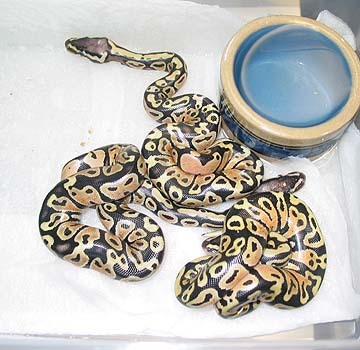 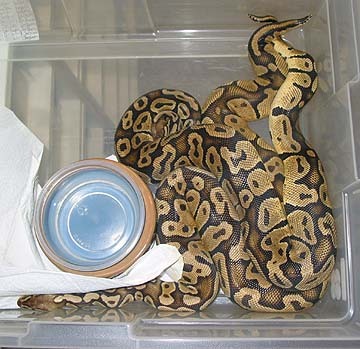 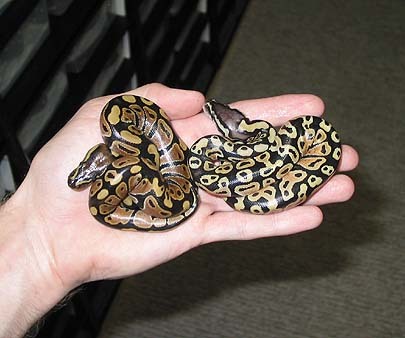 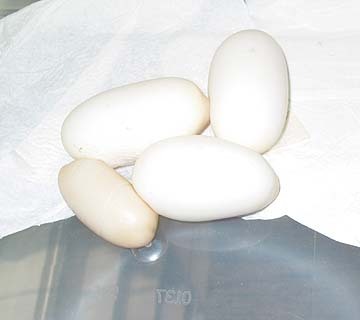 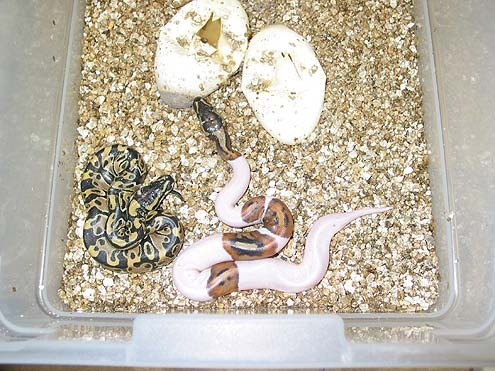 STATUS: 2.0 Pastels 100% Het Orange Ghost and 0.1 100% Het Orange Ghost hatched out on July 10 2006. 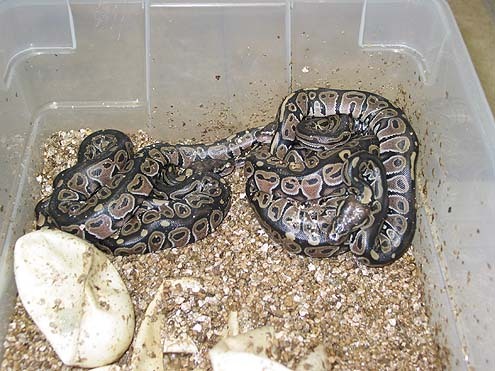 If you would like to inquire about 06 clutch # 41 please - click here - use " 06 clutch # 41" in the subject line. 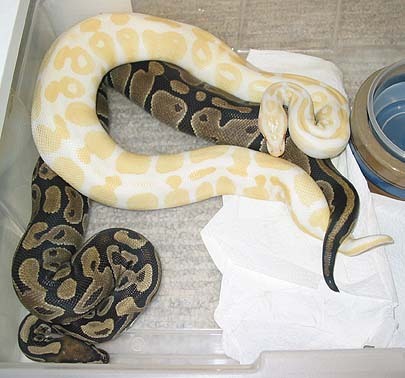 From breeding a Pastel Orange Ghost Male (POG) and Super Pastel Orange Ghost Male (SPOG) to a Pastel 50% Possible Het Orange Ghost Female (Pastel Pos Het Orange Ghost 3 2003). 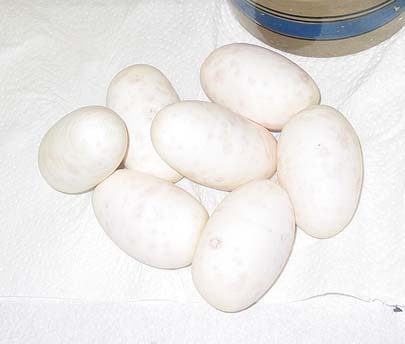 This clutch should produce Super Pastels 100% het Orange Ghost, Pastels 100% het Orange Ghost, Orange Ghosts, 100% het Orange Ghosts and possibly Pastel Orange Ghosts (POG) and Super Pastel Orange Ghosts (SPOG). 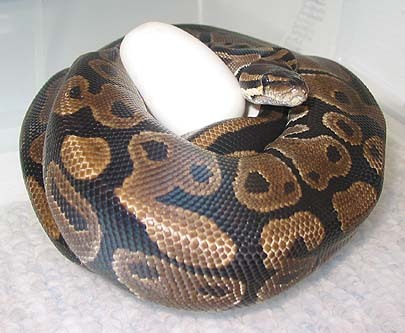 This female looks like she is het Orange Ghost so we'll see what hatches out. 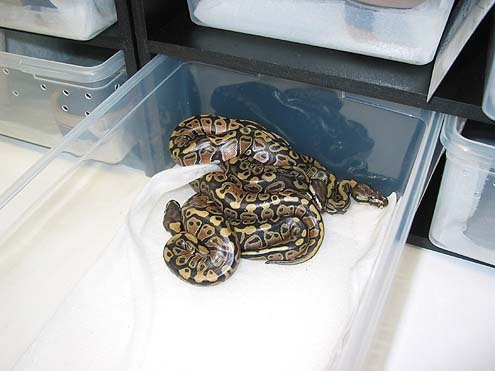 If you would like to inquire about 06 clutch # 42 please - click here - use " 06 clutch # 42" in the subject line. 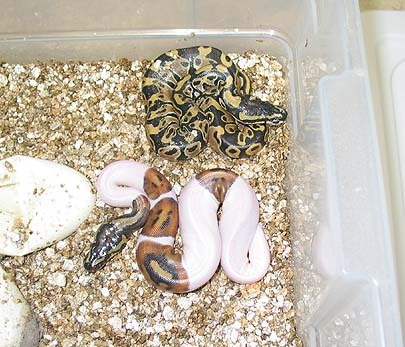 STATUS: 3.3 Pastels hatched out on July 13, 2006. 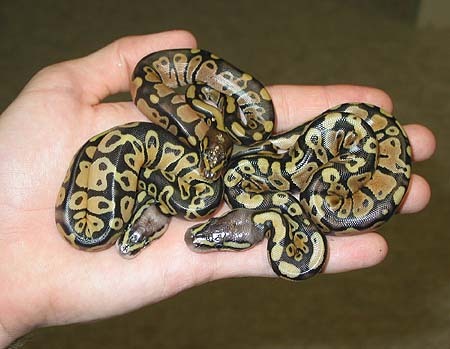 There are some very nice Pastels in this clutch!! 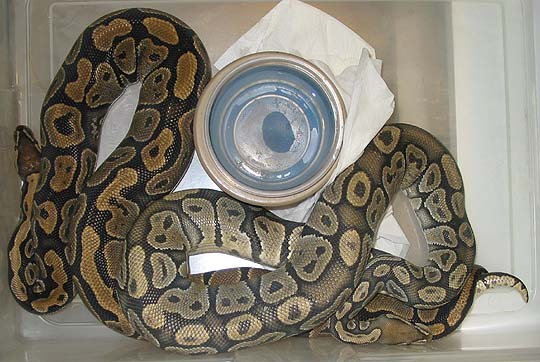 If you would like to inquire about 06 clutch # 43 please - click here - use " 06 clutch # 43" in the subject line. 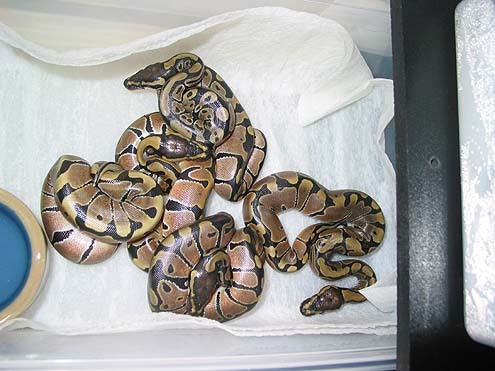 From breeding an Orange Ghost Male and Super Pastel Orange Ghost Male (SPOG) to a 50% Possible Het Anerythristic Female (Pos Het Anery 10 2002). 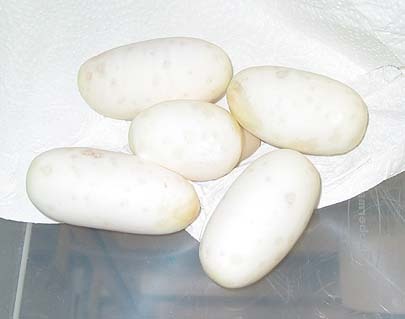 This clutch should produce Pastels 100% het Orange Ghost, 100% het Orange Ghosts and possibly some Pastel Orange Ghosts and Orange Ghosts. 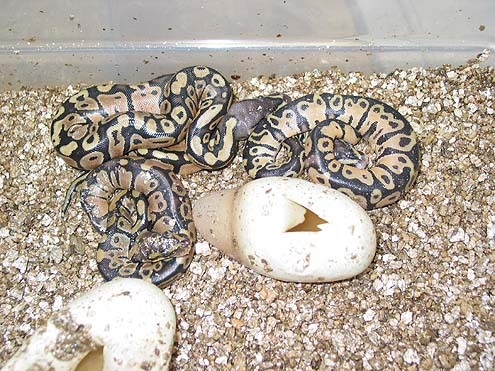 If you would like to inquire about 06 clutch # 44 please - click here - use " 06 clutch # 44" in the subject line. 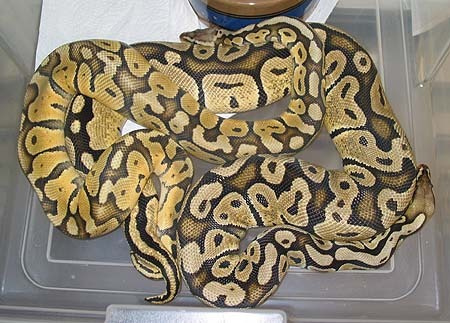 From breeding an Albino Male to a 50% Possible Het Caramel Albino Female (PH Caramel 6 2002). 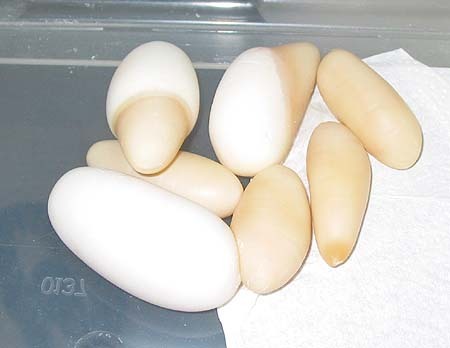 This clutch should 100% Het Albinos and possibly Albinos........and Caramel Albinos???? 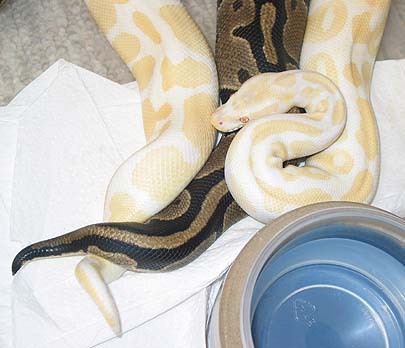 I bred my Albino Male and White Back Albino Male to all the Possible Het Caramel Females this year since I have yet to produce a Caramel Albino from my original "Het Caramel" stock. 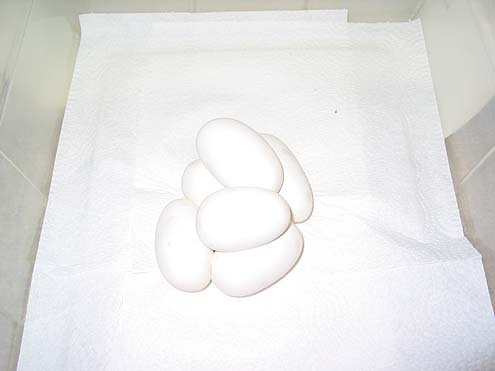 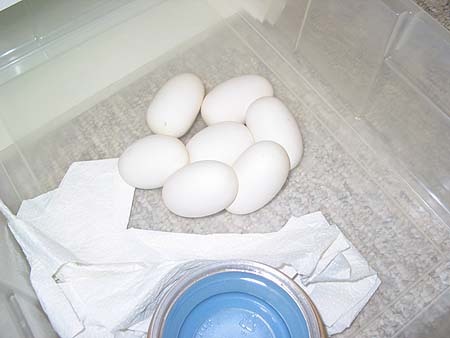 STATUS: 1.4 100% Het Albinos hatched out on July 13 2006. 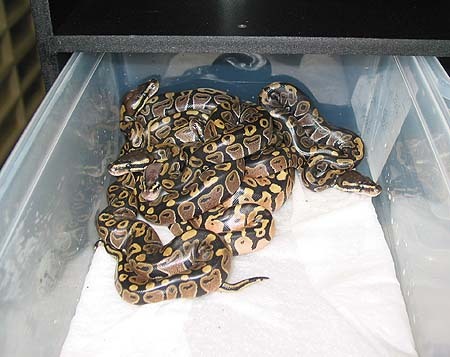 If you would like to inquire about 06 clutch # 45 please - click here - use " 06 clutch # 45" in the subject line. 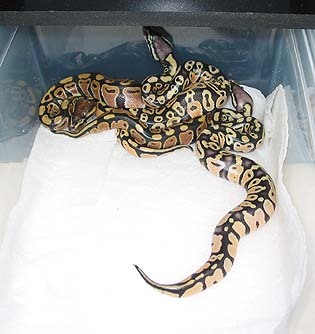 From breeding a Pastel 50% Possible Het Orange Ghost Male to his Pastel 50% Possible Het Orange Ghost Sister (Pastel PHOG Female 1 2003). 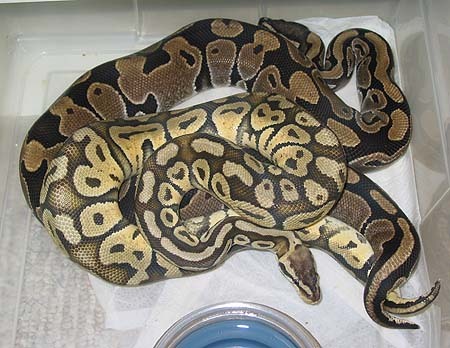 This pair is from a weird looking Female. 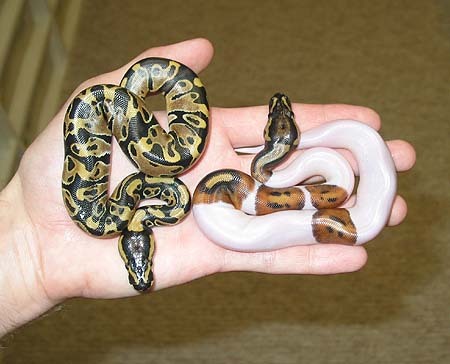 If I get really lucky I can prove out whatever the Mother is as well as producing some Super Pastel Ghosts, Pastel Ghosts & Ghosts. 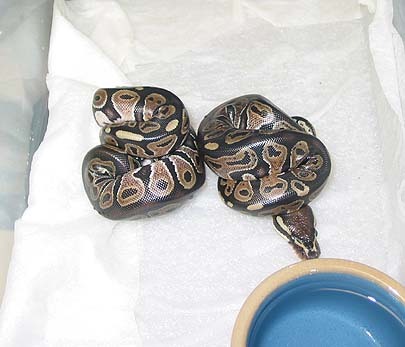 If you would like to inquire about 06 clutch # 46 please - click here - use " 06 clutch # 46" in the subject line. 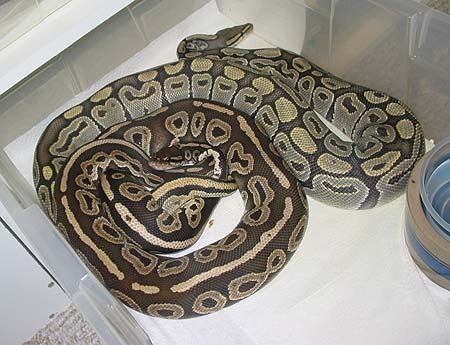 From breeding a Red Axanthic Male to a Weird looking Granite Female (Sib Black Back NERD 1 1999). 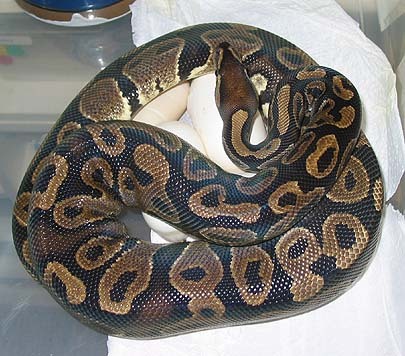 This clutch should produce all Het Red Axanthics and something weird?????. 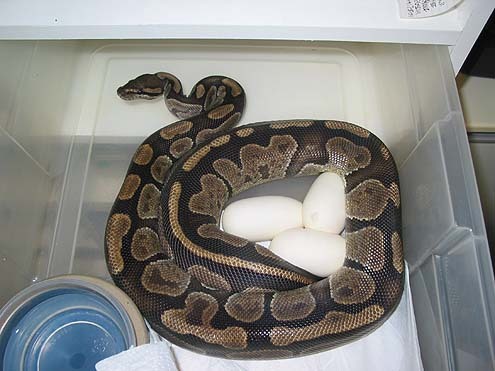 This is the mom to the Pastels and normal from clutch # 13 and 46. 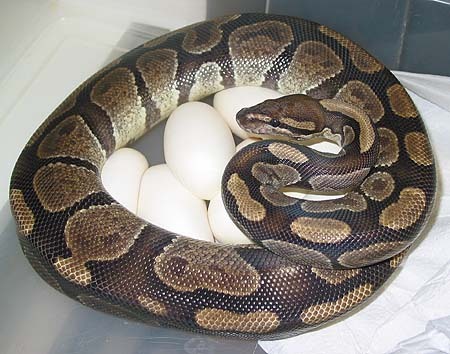 I'm expecting atleast another clutch from this females offspring bred together. 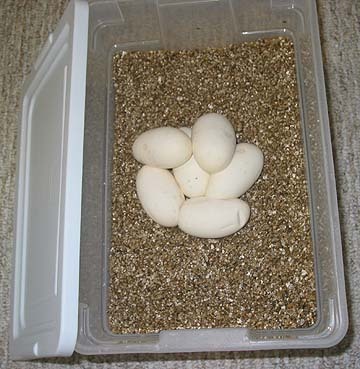 STATUS: 2.5 Het Red Axanthics hatched out on July 16 2006. 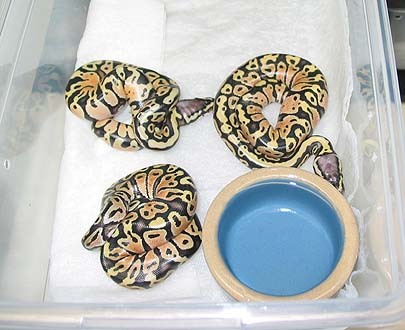 These guys are from a weird looking female......so they maybe hiding something???? 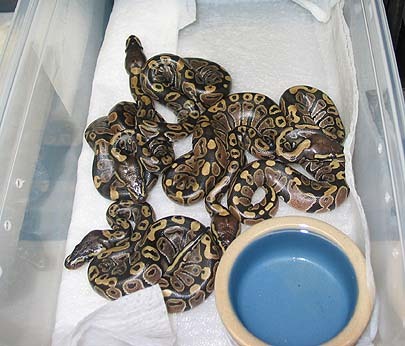 If you would like to inquire about 06 clutch # 47 please - click here - use " 06 clutch # 47" in the subject line. 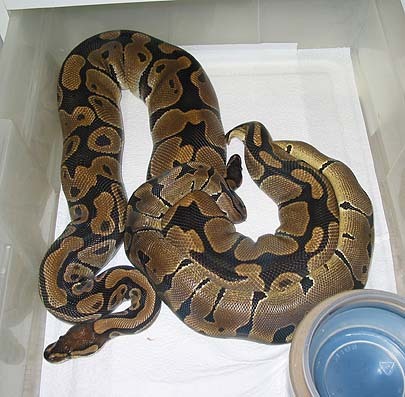 ESTIMATED PRICE: Het Red Axanthics From Grantie Female - Inquire. 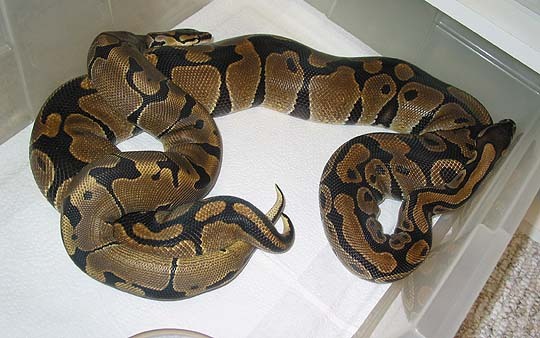 From breeding a Red Axanthic Male to an Orange Ghost Female (Orange Ghost 1 1998). 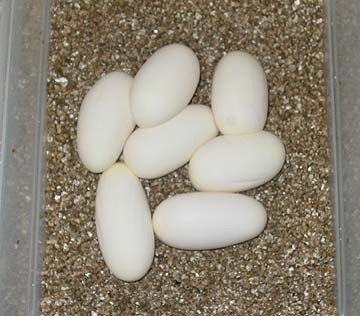 This clutch should produce all Het Red Axanthics that are also 100% het Orange Ghost. 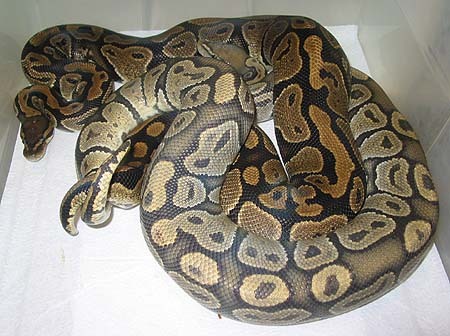 This Orange Ghost Female is the original Orange Ghost that started the POG and SPOG bloodline. 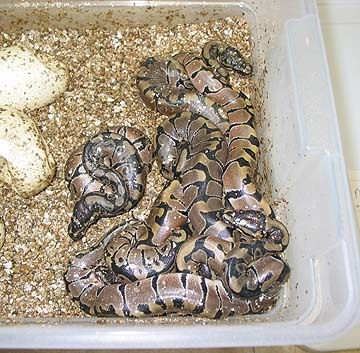 STATUS: 3.3 Het Red Axanthics that are 100% Het Orange Ghost hatched out on July 17 2006. 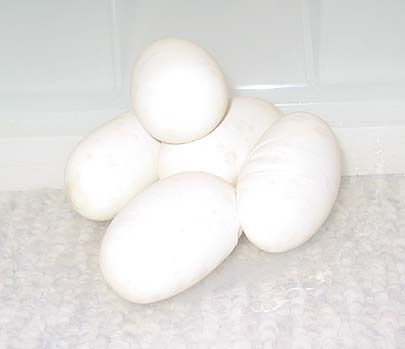 These guys will be good for mixing with the Orange Ghost stock!...... 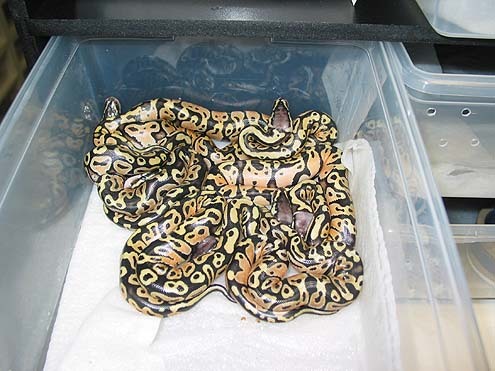 These guys are lighter than normal (which is typical of het Orange Ghosts) and also have not as weird size pattern as "regular" Het Red Axanthics. 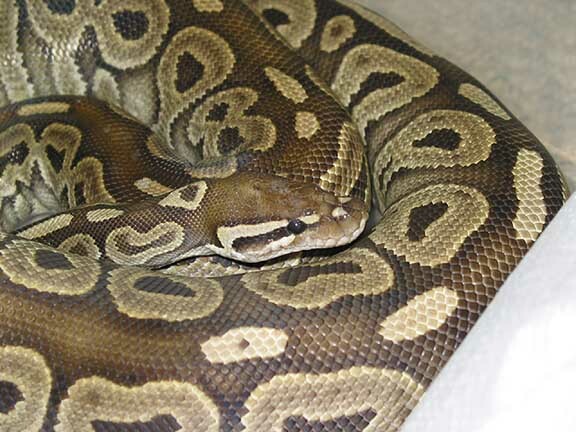 If you would like to inquire about 06 clutch # 48 please - click here - use " 06 clutch # 48" in the subject line. 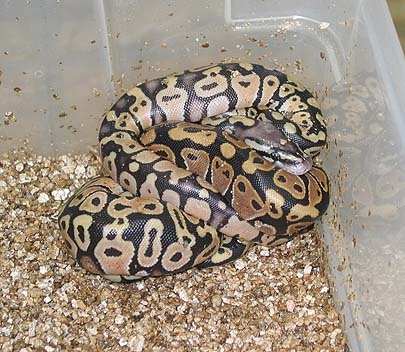 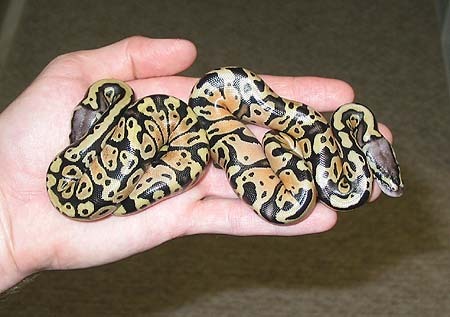 ESTIMATED PRICE: Het Red Axanthics Het Orange Ghost - Inquire. 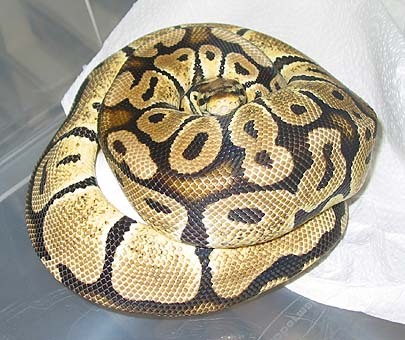 From breeding a Pied Male (Pied Male 2004) to a 100% Het Pied Female (Het Pied 2 2003). 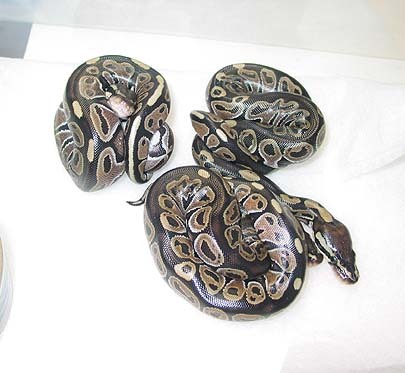 This clutch should Pieds and 100% Het Pieds. 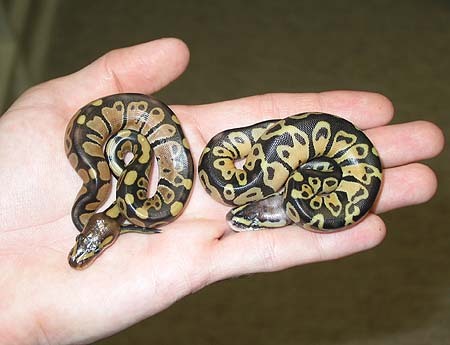 The 2001 and 2004 Pied Males are unrelated to one another. 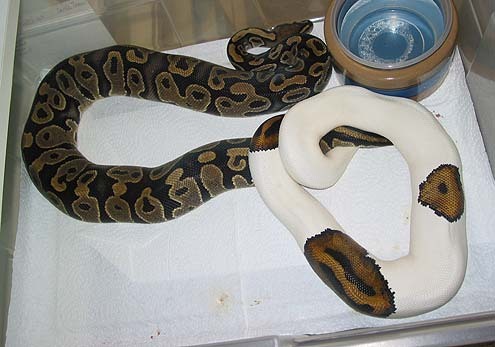 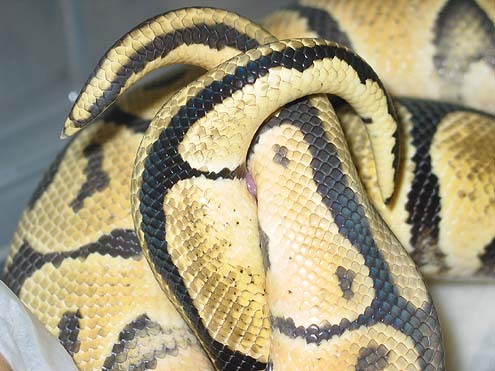 This pairing is from the 2004 Pied Male bred to one of the 2001 Pied Males daughters. 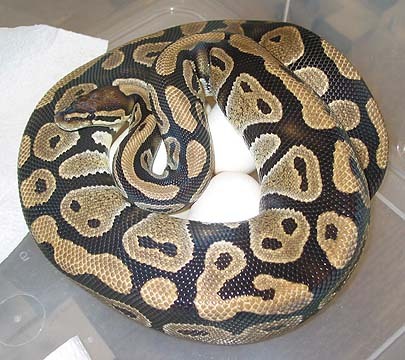 STATUS: 0.1 Pied and 0.1 100% Het Pied hatched out on July 16 2006. 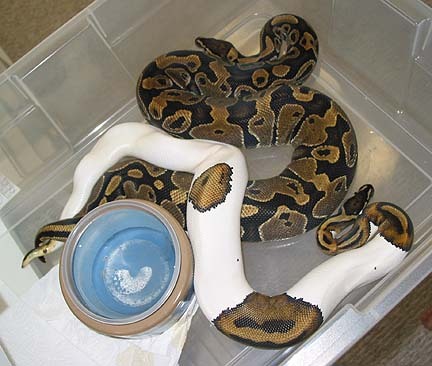 I've been working with the Pied gene since 2001 and I have produced 100% Het pieds since 2003. 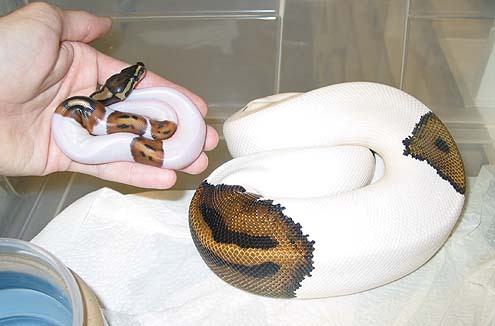 However, this is the first Pied that I've produced. 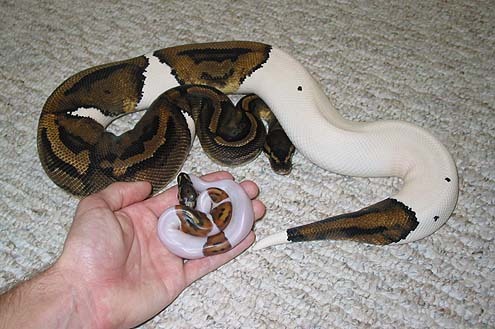 I was going to keep the first Pied I produced either way but I'm just glad the first one is a Female. 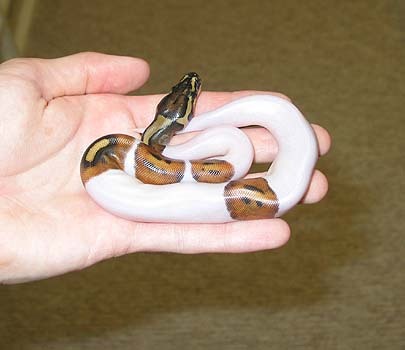 I'm keeping back all of the Pied Females I produce this year. 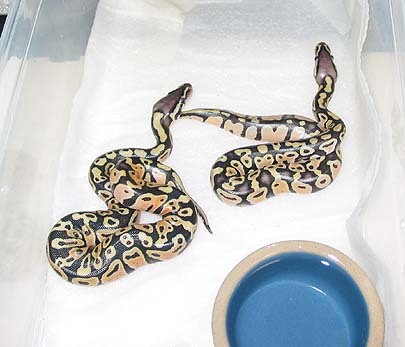 The Pied Female looks very similar to her Pied father. 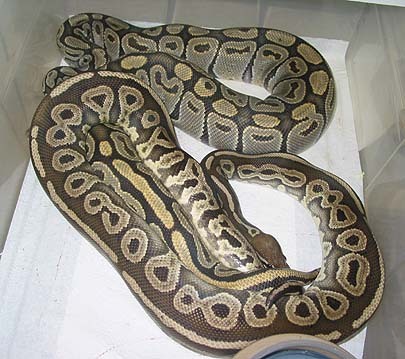 She was produced from breeding a 100% Het Pied female that I produced in 2003 from my 2001 Pied Male bred to my unrelated 2004 Pied male. 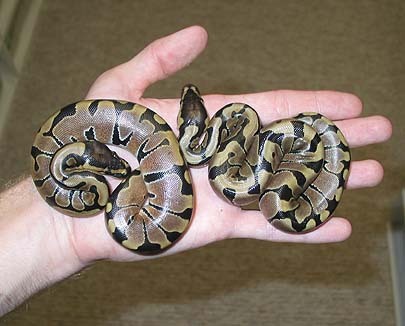 If you would like to inquire about 06 clutch # 49 please - click here - use " 06 clutch # 49" in the subject line. 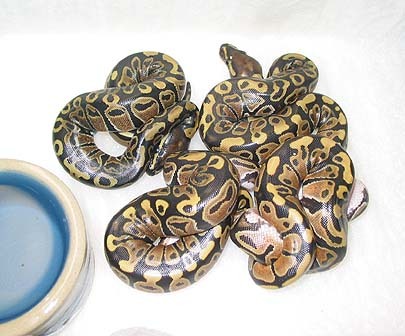 ESTIMATED PRICE: 100% Het Pieds $250 CDN/Male, $1600 CDN/Female and $1750 CDN/Pair. 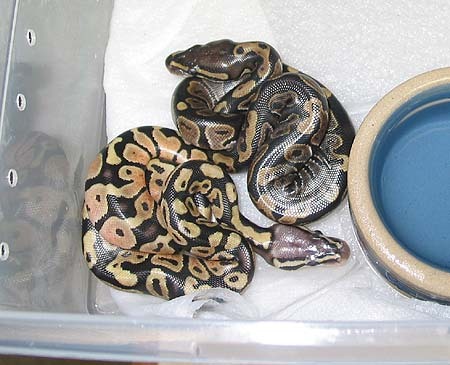 Pieds - $6500 CDN/Male, Females - Not Forsale. 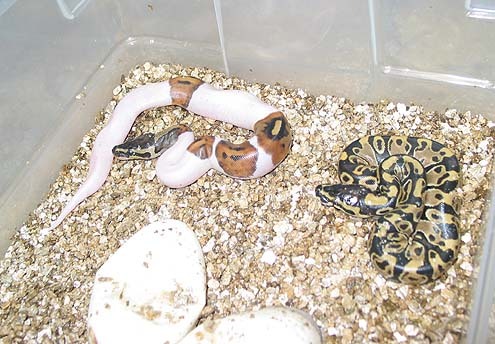 From breeding a Banded Male (F2 Banded 1 2004) to a 100% Het Banded Female (Het Banded 1 2000). 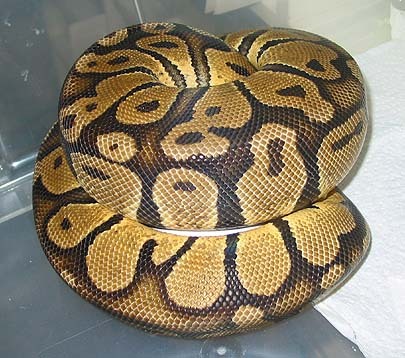 This clutch should produce Bandeds and 100% Het Bandeds. 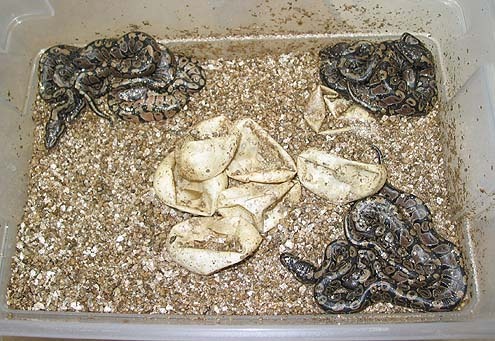 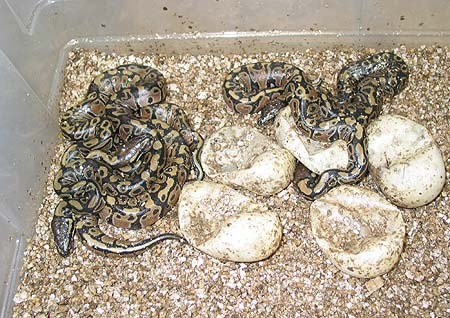 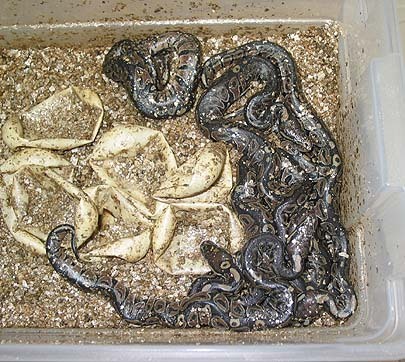 STATUS: 2.3 Bandeds and 0.2 Het Bandeds hatched out on July 18 2006. 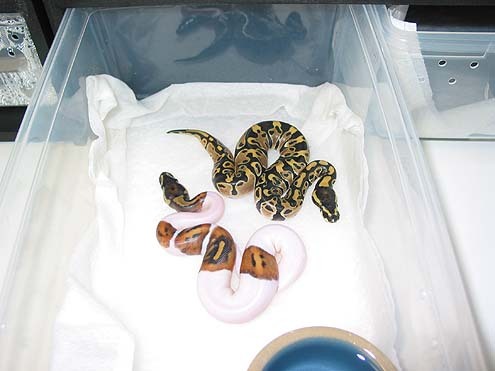 There are some nice looking Bandeds in this clutch! 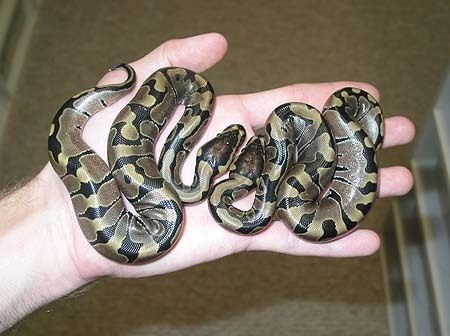 If you would like to inquire about 06 clutch # 50 please - click here - use " 06 clutch # 50" in the subject line. 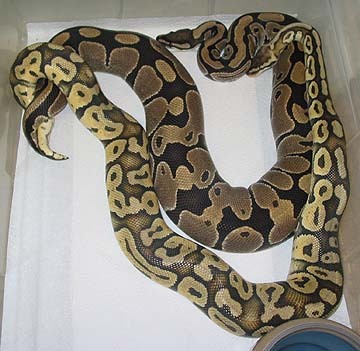 ESTIMATED PRICE: 100% Het Bandeds $150 CDN/Male, $1500 CDN/Female and $1600 CDN/Pair. 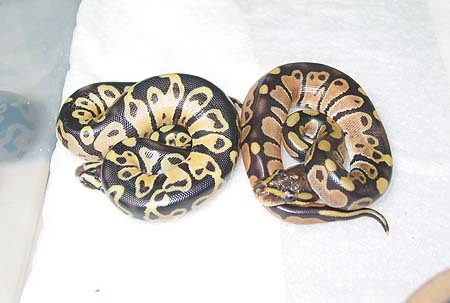 Bandeds - $2000 CDN/Male, $3000 CDN/Female, $4000 CDN/Pair.